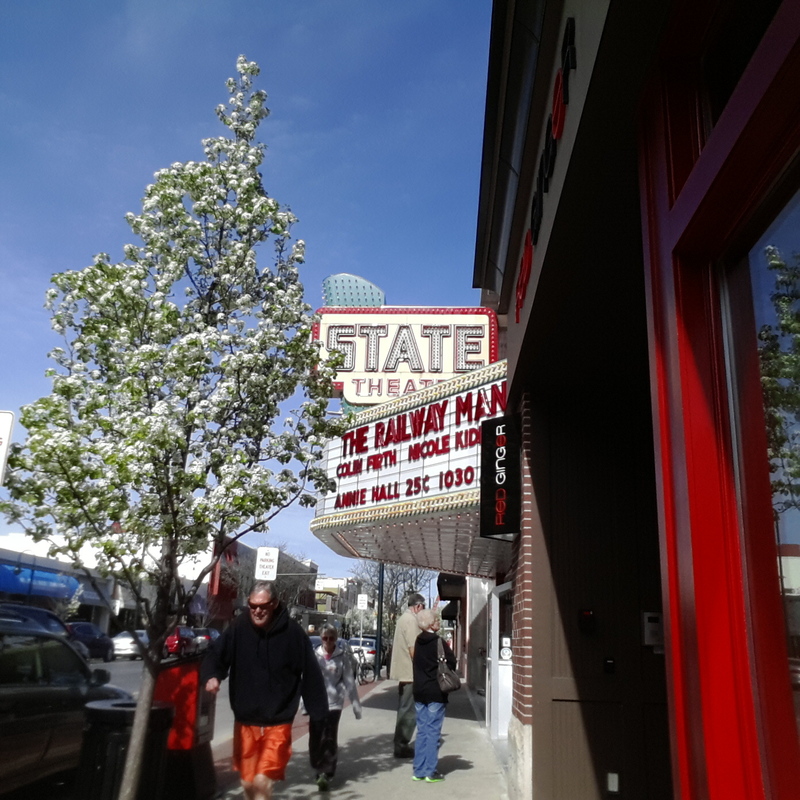 We snagged a hotel room in Traverse City yesterday and then this morning got up early to catch a movie at the State Theatre. They were showing a matinee of Annie Hall, which Chris insisted for 25 cents was a good deal since I'd never seen it before. 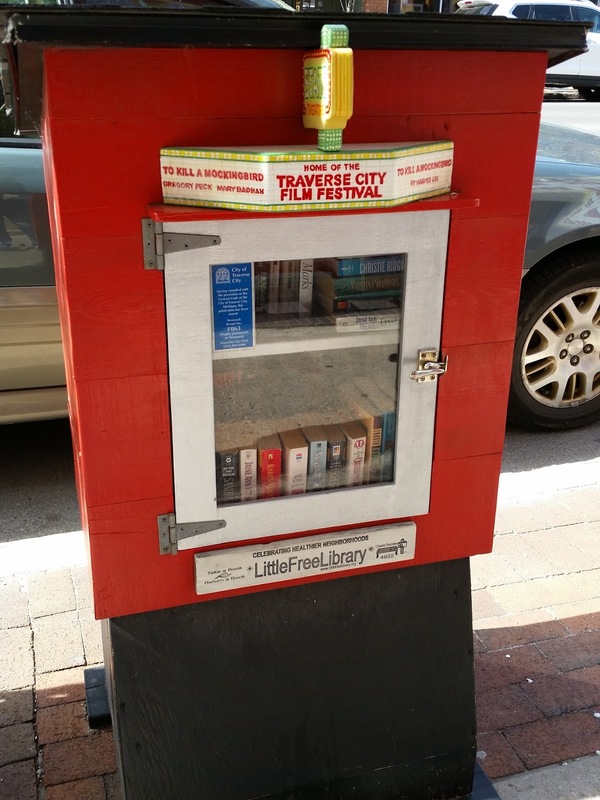 Just seeing a Little Free Library in person (outside the State Theatre) was worth the trip. I've thought these were an awesome idea but this was the first time I'd actually run across one. 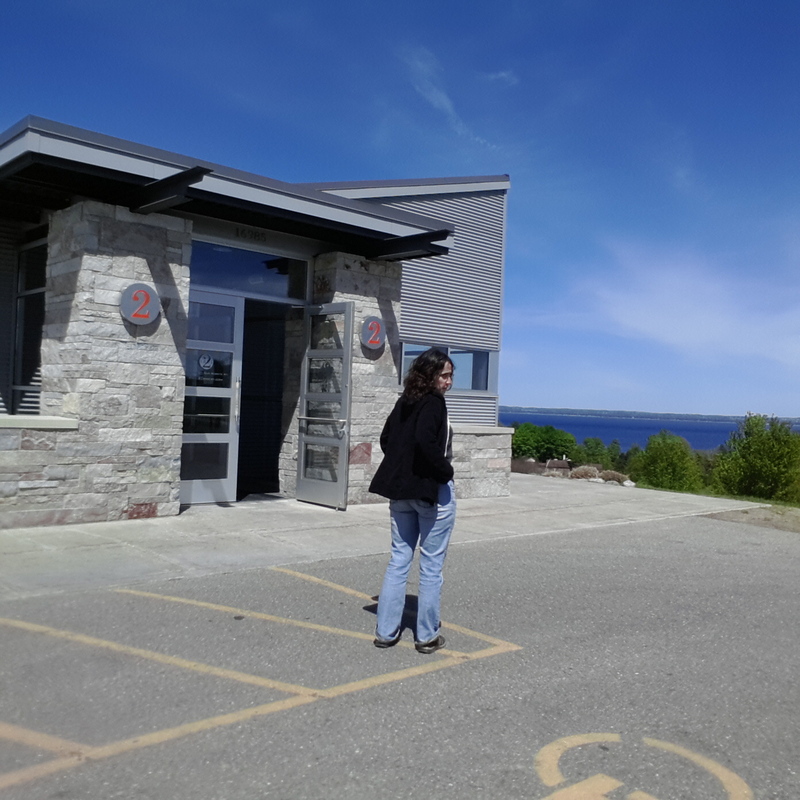 Once the movie was over (which wasn't bad, thought I really don't like Woody Allen in anything I've ever seen him in), we picked up lunch and then it was off to visit wineries on Old Mission Peninsula. We stopped at my favorite location first - Peninsula Cellars. I really like their Hot Rod Cherry wine, but it's hard to find by us, so I picked up several bottles to take back home. Chateau Chantal was next on our list of wineries. The whole thing is up on a hill, so you're able to look down at the vineyards, which is an awesome view. 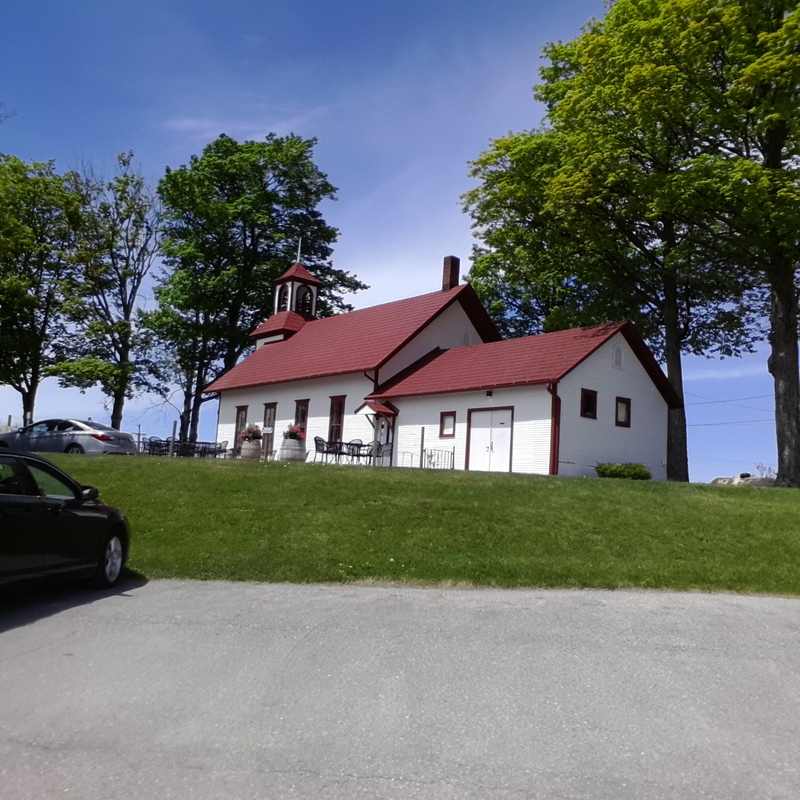 We made a quick stop at Old Mission State Park, enjoyed the quiet beach, and hiked a trail. Then it was time to head back into town for food. On our way back we hit 2 Lads Winery. I wasn't planning to stop at 2 Lads, but as we passed the sign I thought I should give it a try again. I'd only been there once before and I really didn't like it too much. The whole feel of the winery still isn't my kind of thing (it's too modern), but the wine itself was just fine. The last place we stopped at on our way back to town to get dinner was Hawthorne Vineyards, which I'd never been to before. I'm really glad we stopped there. 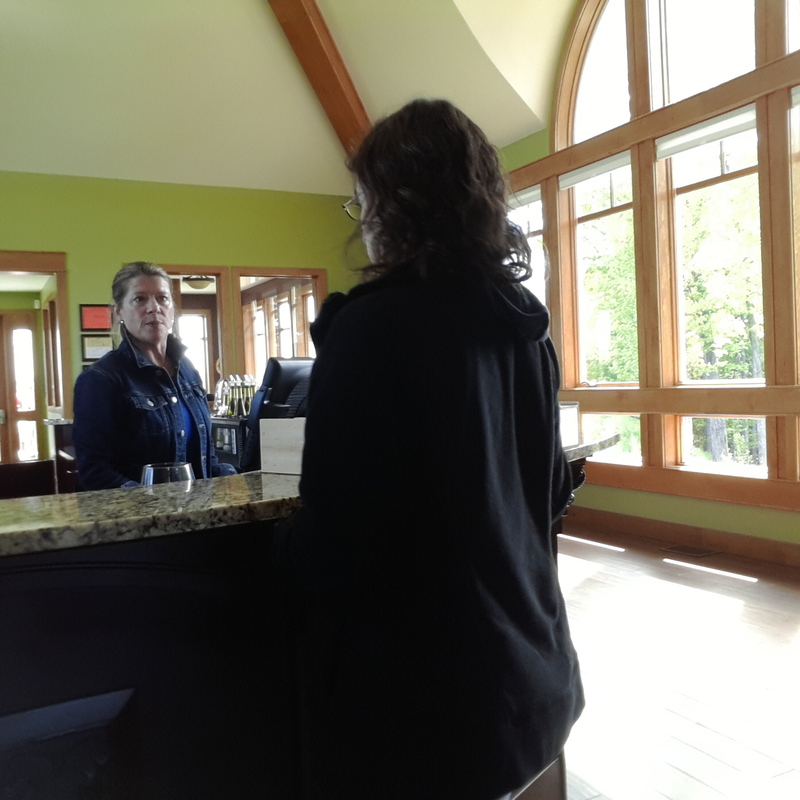 The wines were nice and the tasting room had very large windows that let in a lot of light.